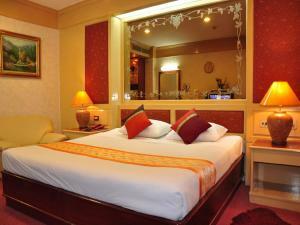 A 5-minute walk from Nana BTS Skytrain Station, Parkway Inn is located in central Bangkok. 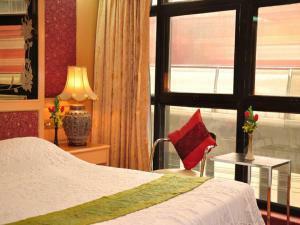 It features free Wi-Fi, free parking and air-conditioned rooms with cable TV channels. 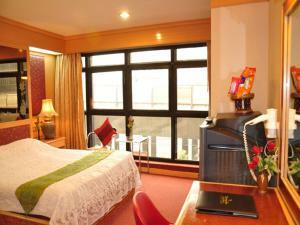 Rooms at Parkway come with modern Thai furnishings, neutral colour tones and floor-to-ceiling windows. 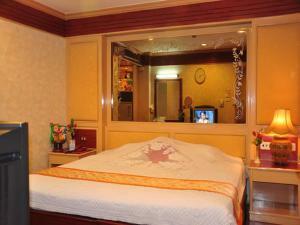 All are fitted with a minibar, work desk and private bathroom with shower facilities. To relax, guests can enjoy a traditional Thai body massage. 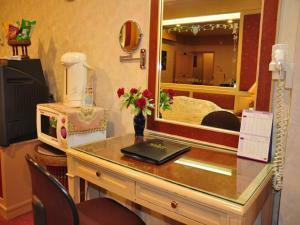 For convenience, the hotel provides fax and photocopying services. Laundry services are also available upon request. The stylish bar serves a fine selection of light snacks and refreshing beverages. A variety of dining outlets are within a 15-minute walk from the hotel. 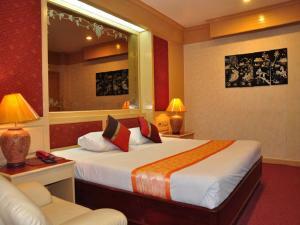 Inn Parkway is 1.5 km from MBK Shopping Centre and 2 km from Siam Paragon. Suvarnabhumi International Airport is a 45-minute drive away. 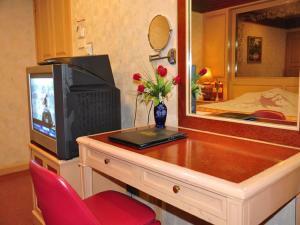 Room features a cable TV, minibar and private bathroom with a shower. Offering additional living space, suite features a cable TV, minibar and private bathroom with a shower.